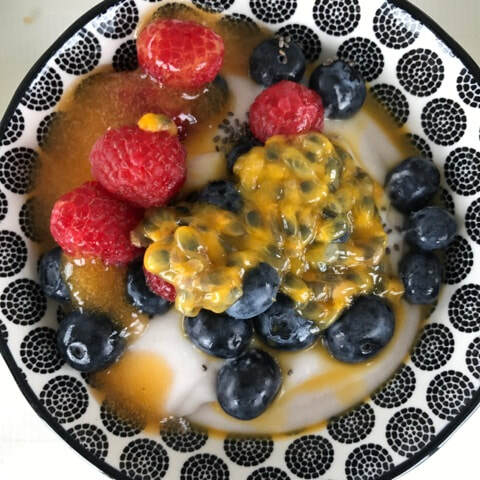 Join me on Thursday, 31 May 2018 to learn how to make KOMBUCHA! This is a special class in a private home, limited to 10 participants. Sign up soon to secure your space. 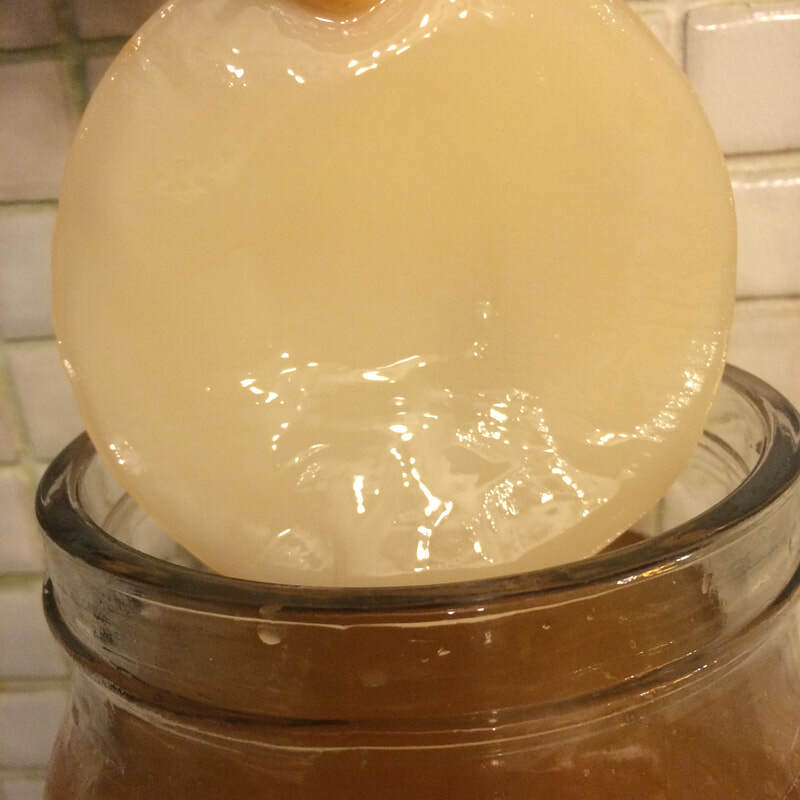 ​Learn, taste and take home your own SCOBY and starter to brew delicious kombucha at home. 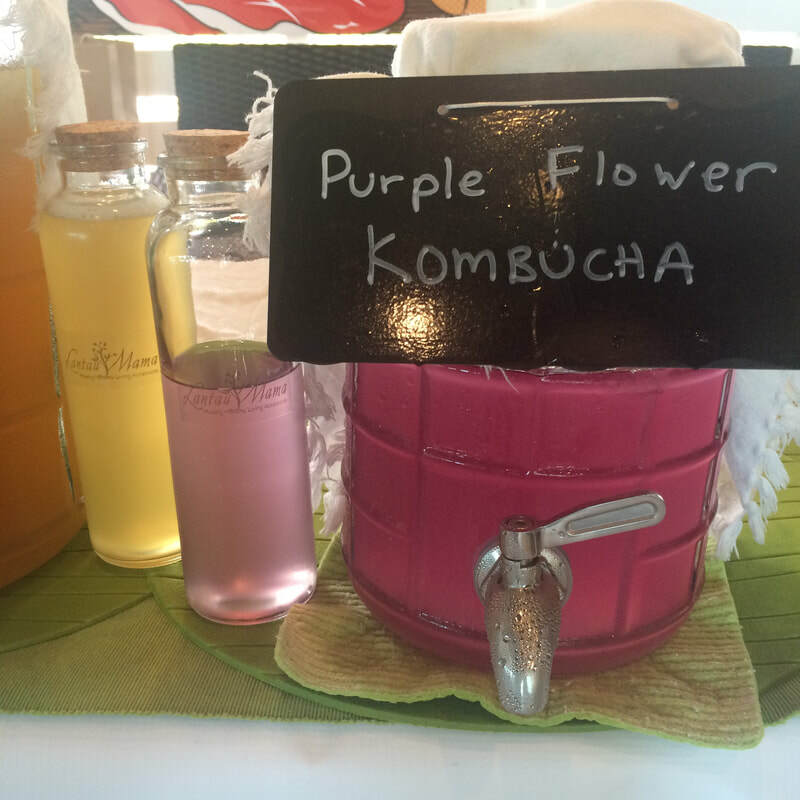 This class is suitable for beginners and kombucha brewers. There will be lots of time for Q&A at the end of the class. Loads of kombucha - regular, jun, herbal and different flavours! 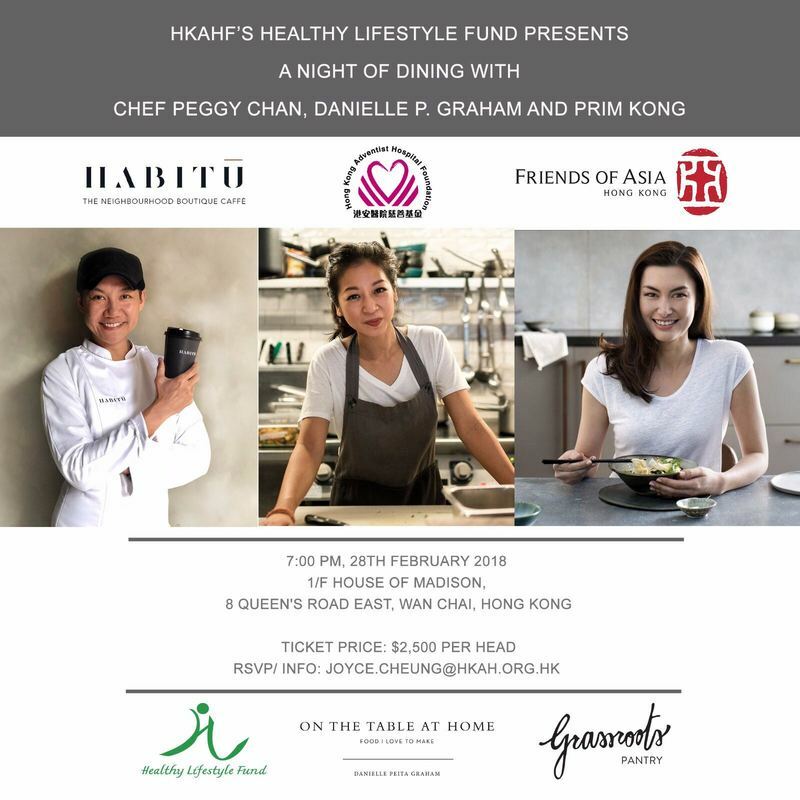 I am deeply honoured to be serving a specially created herbal kombucha for the HKAHF's Healthy Lifestyle Fund's Charity Evening on Wednesday, 28 February 2018. Come enjoy a vegetarian meal and learn how to prepare healthy and delicious vegetarian dishes at home too! All in support of the HKAHF's Healthy Lifestyle Fund! 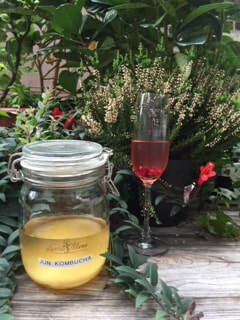 Join me on Tuesday, 23 January 2018 to learn how to make KOMBUCHA! 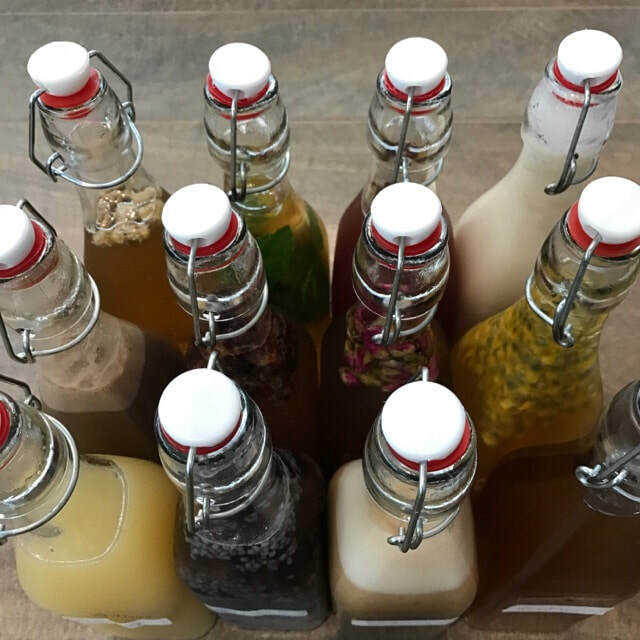 This class is suitable for beginners and kombucha brewers. There will be lots of time for Q&A at the end of the class and over lunch. Note: Because this is in a private home, the address and specific details will only be sent after your registration is confirmed. 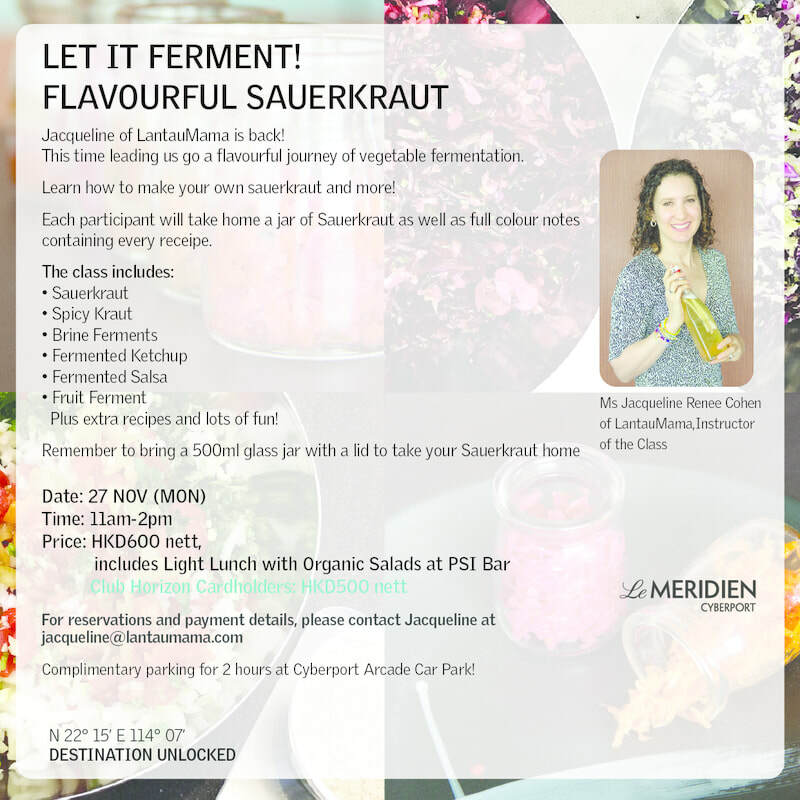 Join me on MONDAY 27 November 2017 at Le Meridien Cyberport to learn how to make fermented foods at home! Last class of 2017, classes will resume after Chinese New Year. 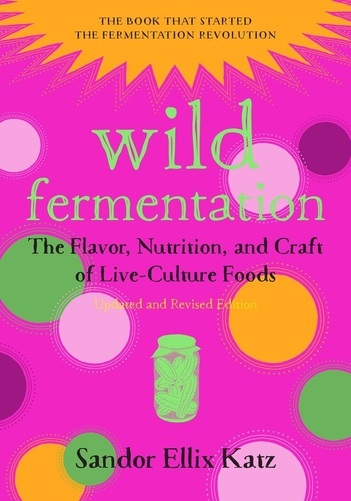 Learn how to make fermented foods at home including fermented vegetables, fruits and condiments. Taste many different styles of ferments, and ferments of different ages. Hands on experience making your own sauerkraut to take home! This class is suitable for beginners and advanced fermenters. There will be lots of time for Q&A at the end of the class and over the organic salad bar lunch. Note: The jars should have a lid that can seal in liquid. 500ml wide mouth flip top jars from Ikea or Japan Home Store are perfect. 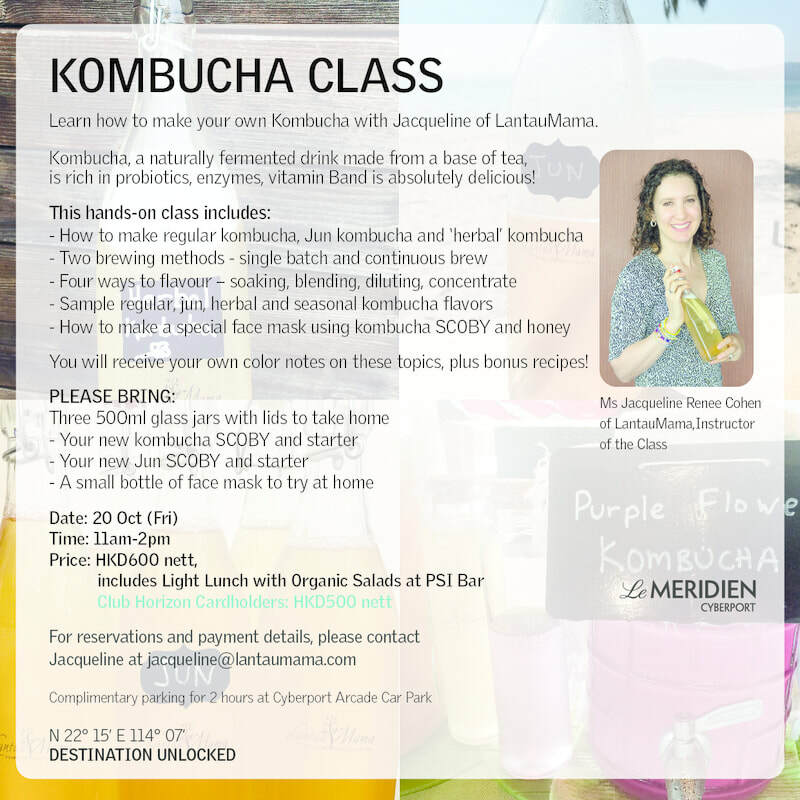 Join me on FRIDAY 20 October 2017 at Le Meridien Cyberport to learn how to make KOMBUCHA! Note: The jars should have a lid that can seal in liquid. 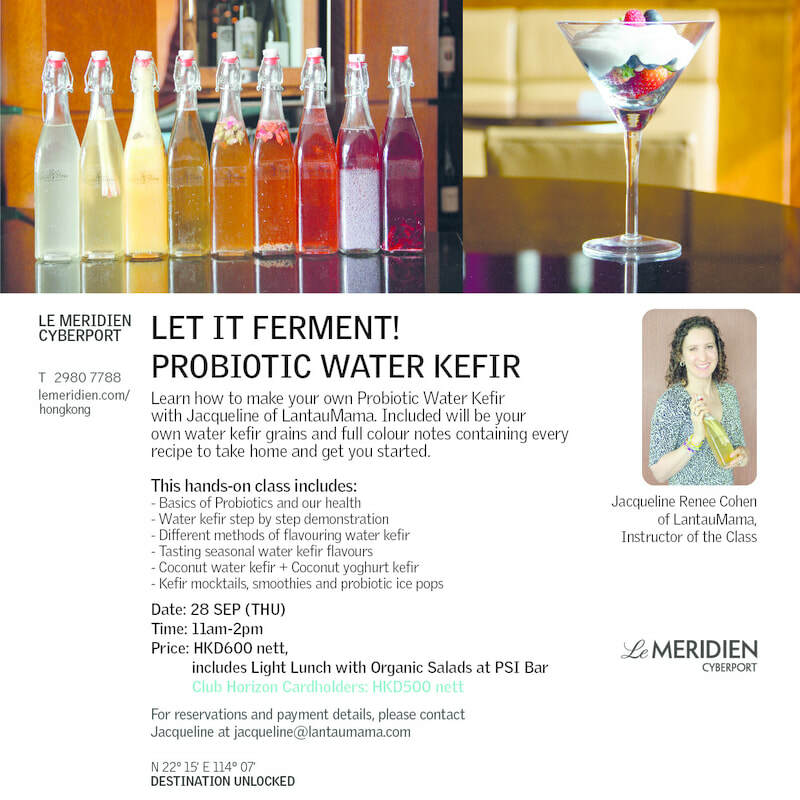 Join me on Thursday 28 September 2017 at Le Meridien Cyberport to learn how to make WATER KEFIR! 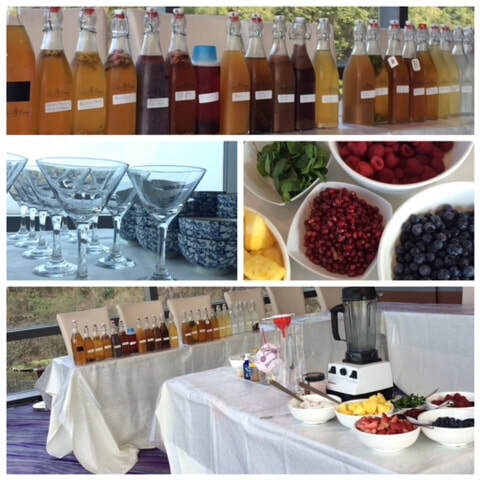 ​Learn, taste and take home your own water kefir grains to make your own probiotic drinks at home! This class is suitable for beginners and those whom already ferment. There will be lots of time for Q&A at the end of the class and over lunch. 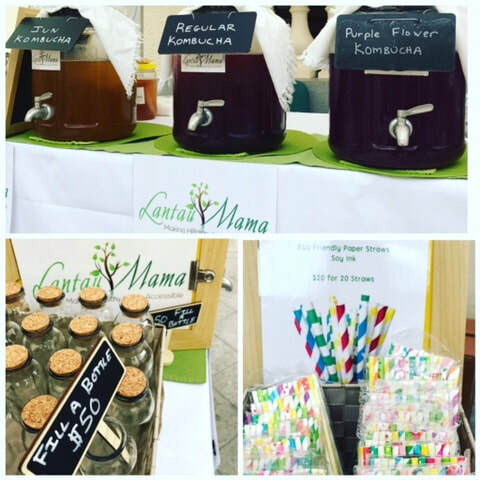 Come and get your post summer LantauMama Kombucha fix! 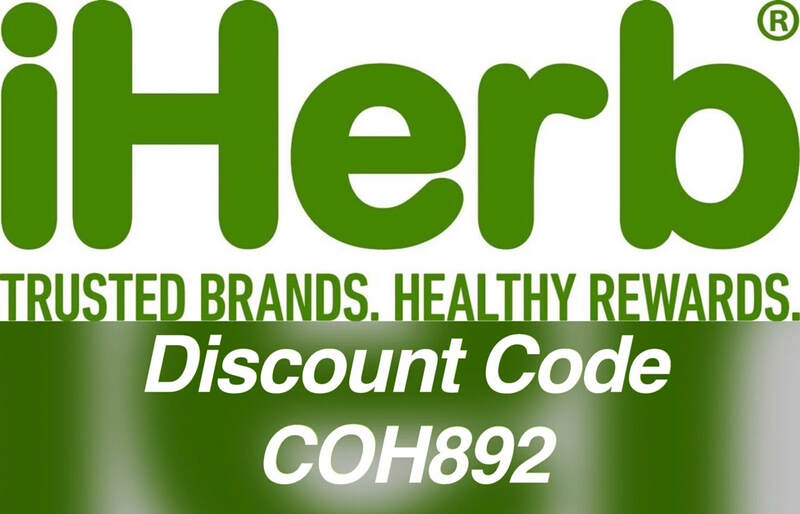 Wellness 360 has great healthy lifestyle vendors and kids activities for you and your family. 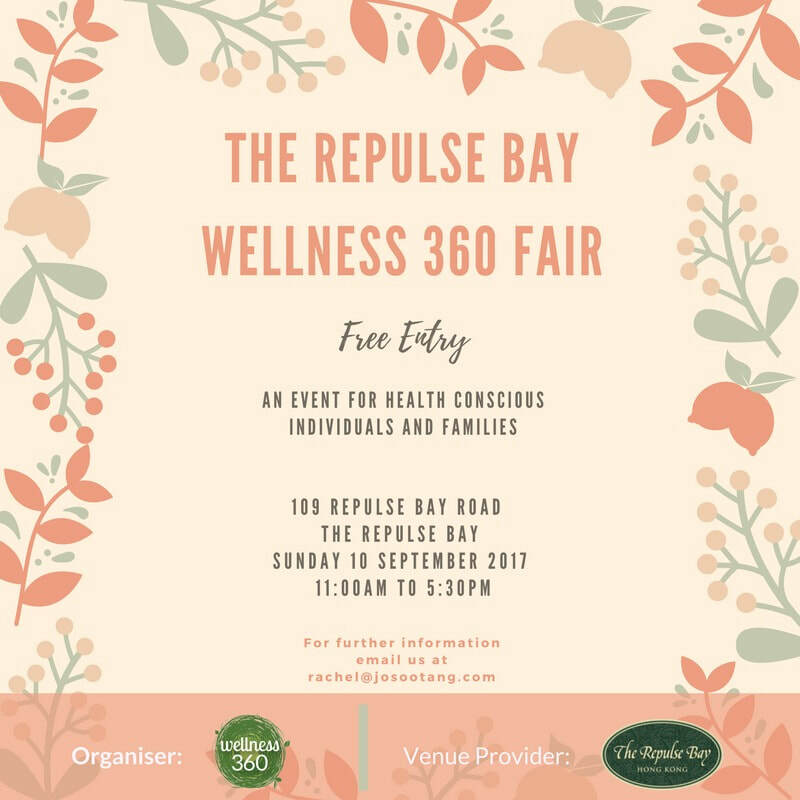 Located in the open courtyard in front of Marketplace and Pacific Coffee at The Repulse Bay. See you Sunday 10 September 2017! 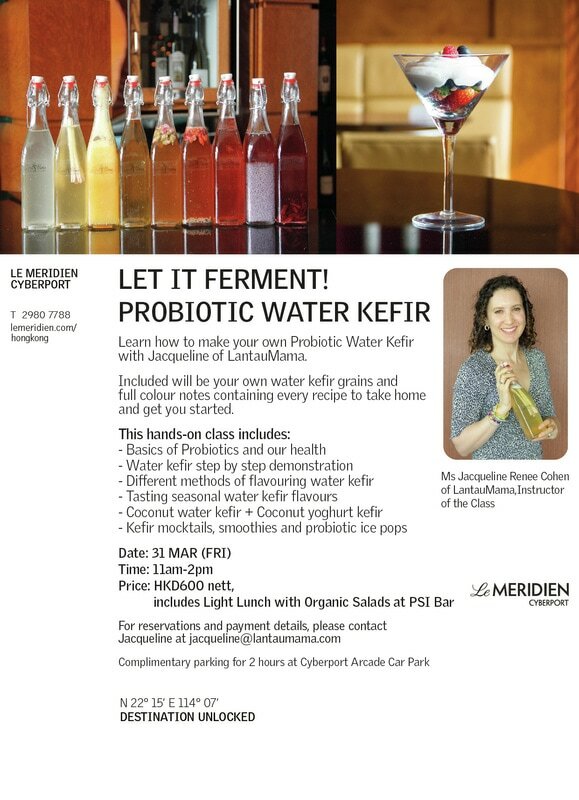 Join me on Friday 31 March at Le Meridien Cyberport to learn how to make WATER KEFIR! 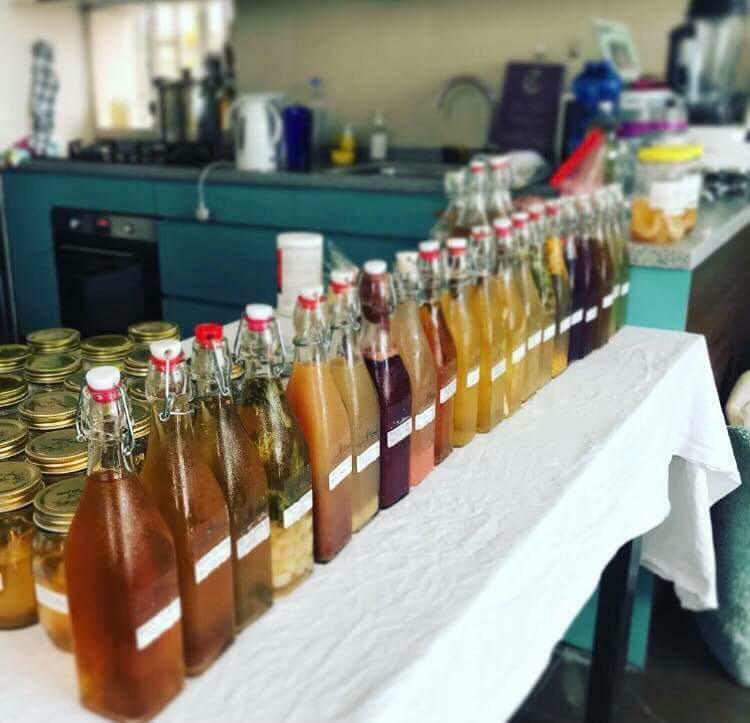 Join me on TUESDAY 28 February at Le Meridien Cyberport to learn how to make KOMBUCHA! 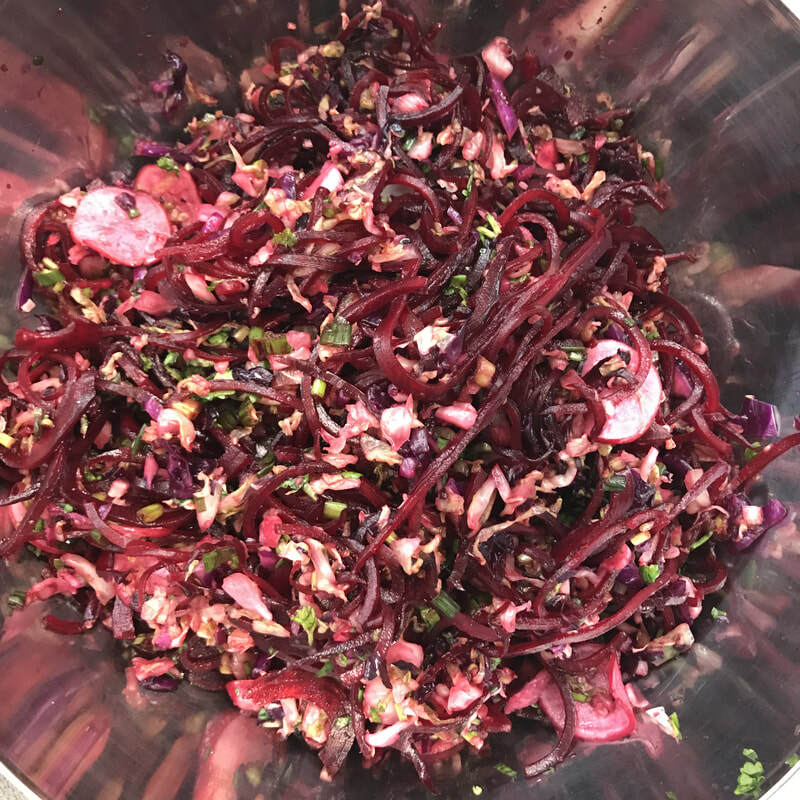 Fermentation revivalist, author and teacher, Sandor Katz, is on his inaugural trip to Hong Kong to work exclusively with the chefs of Mandarin Oriental, Hong Kong to broaden their use of fermentation. Sandor will offer one public seminar for home fermenters during his visit through LantauMama on 13 January 2017. 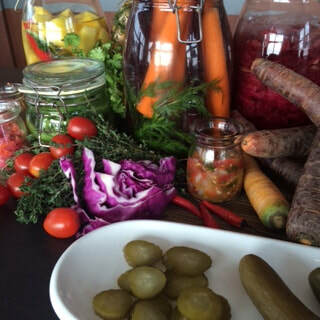 This remarkable event is a chance for you to spend the afternoon with Sandor as he demystifies fermentation for home enthusiasts and sample an array of delicious ferments from the kitchens of the hotel. Please fill out the registration form on this page. Once we receive your completed registration form, we will email you with payment details. Limited spaces available.